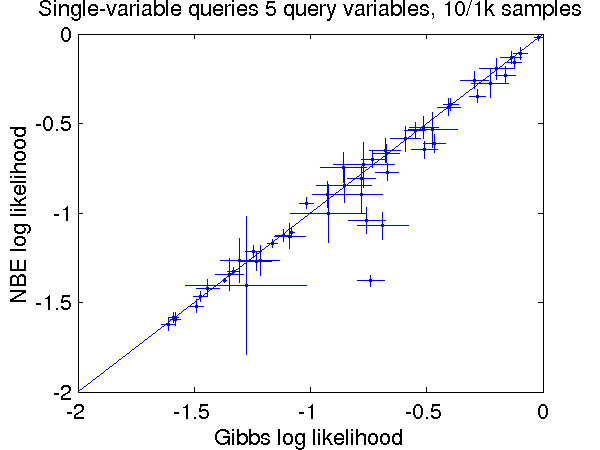 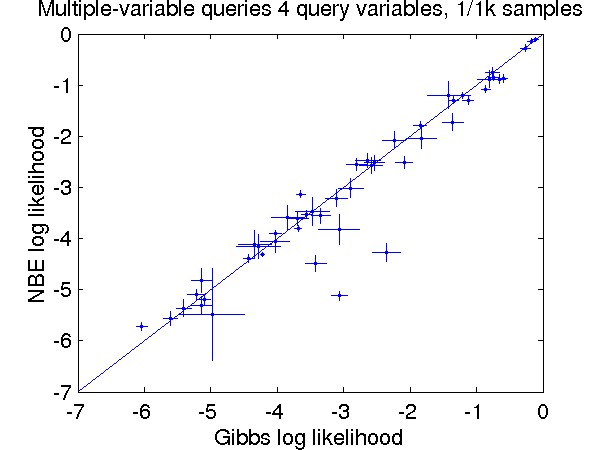 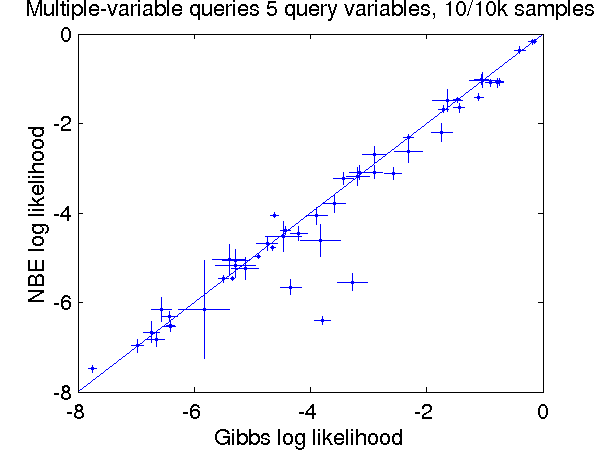 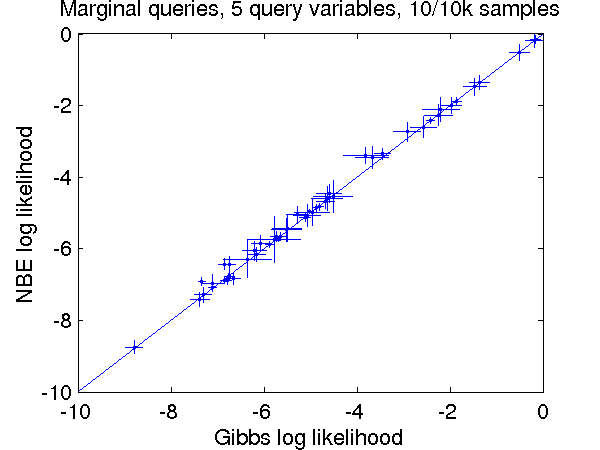 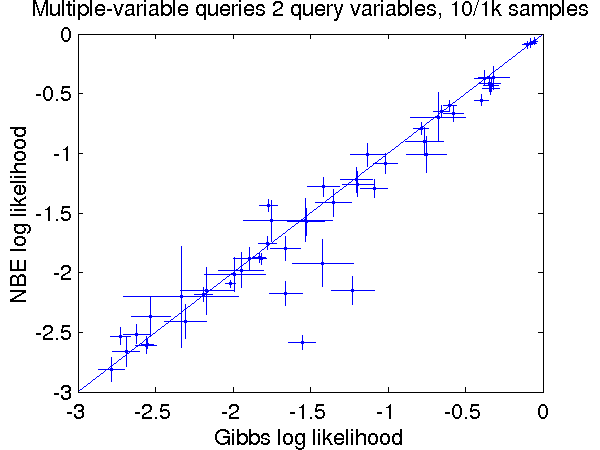 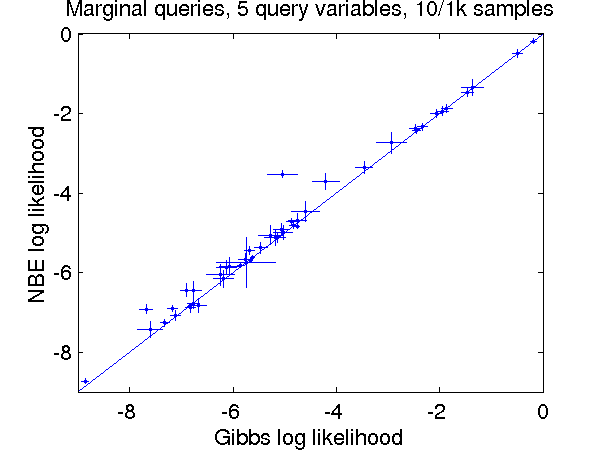 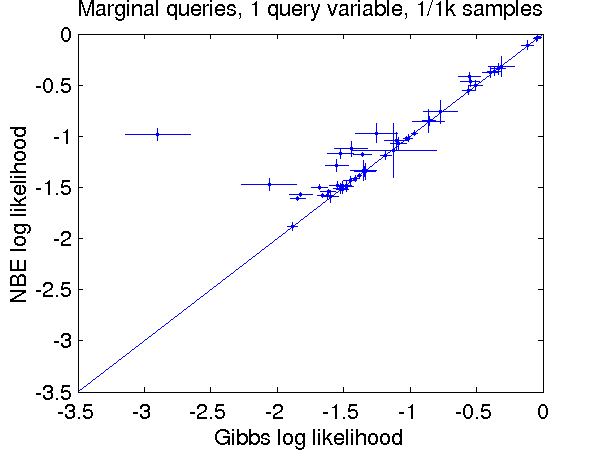 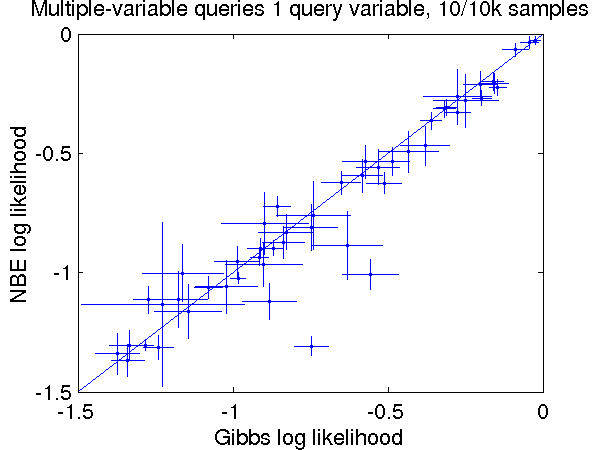 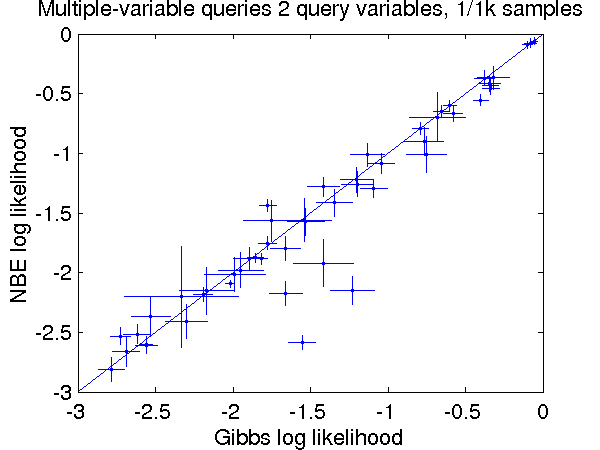 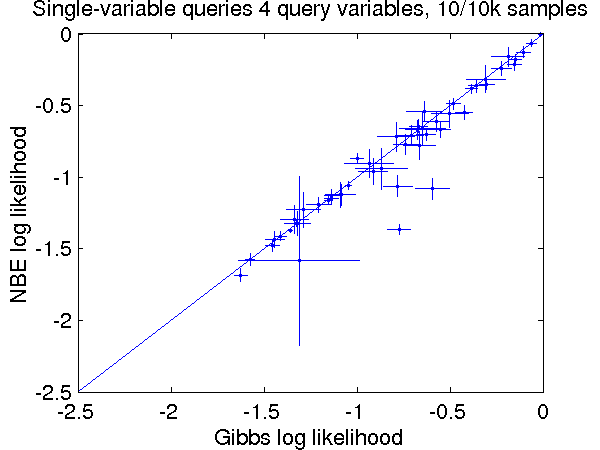 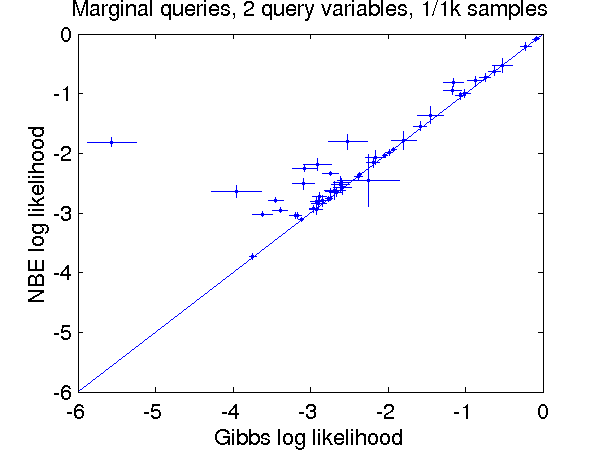 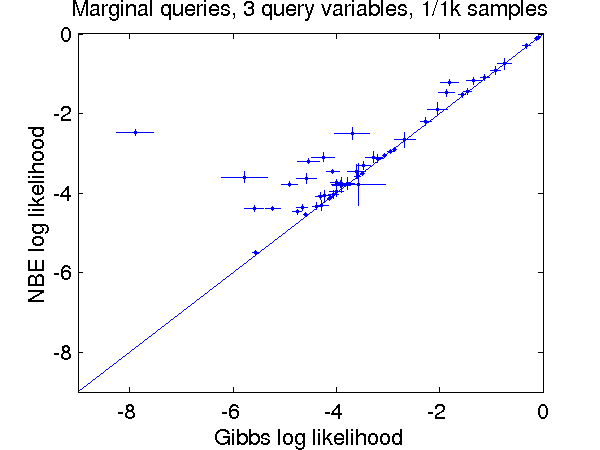 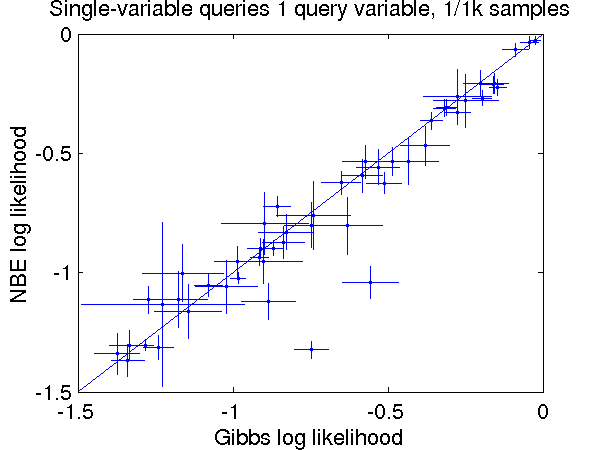 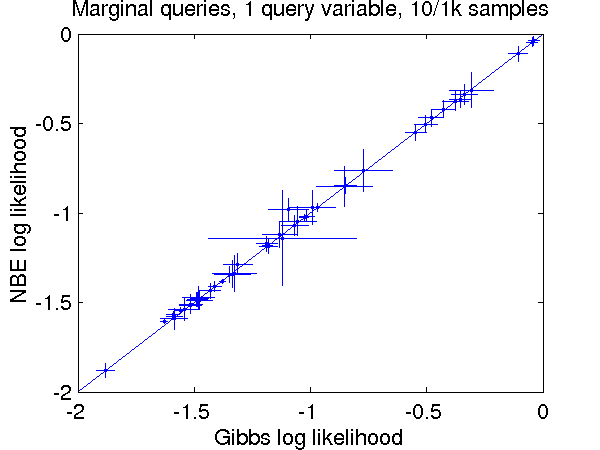 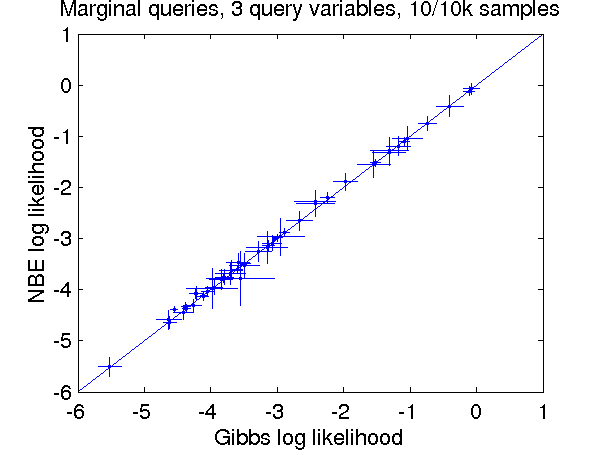 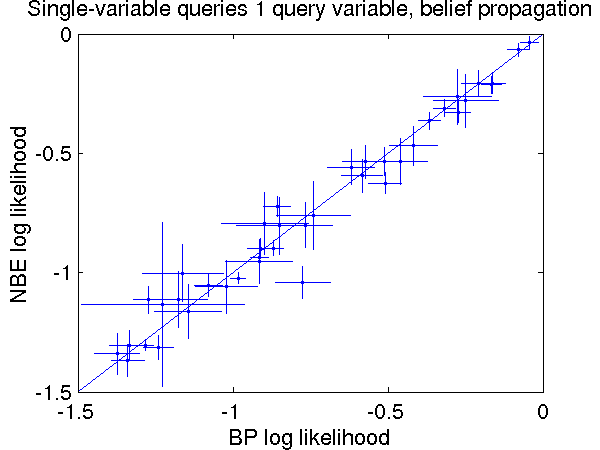 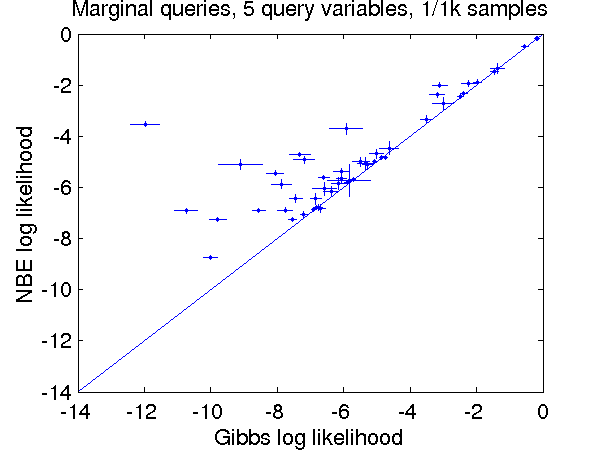 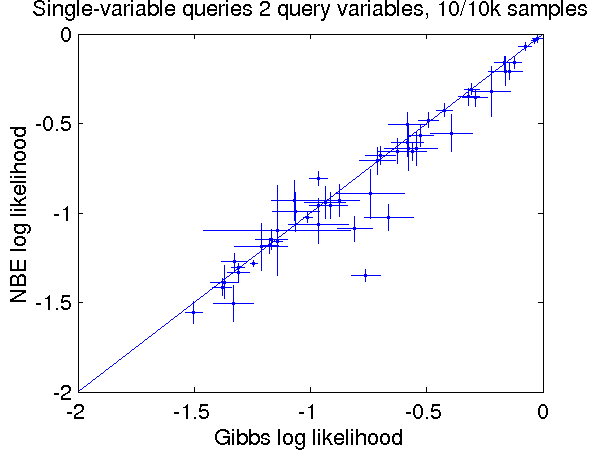 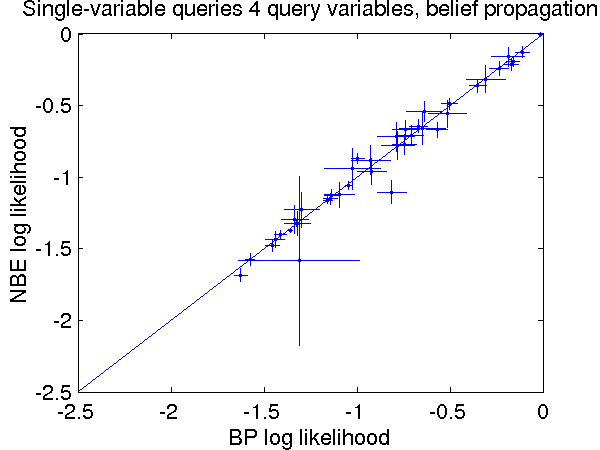 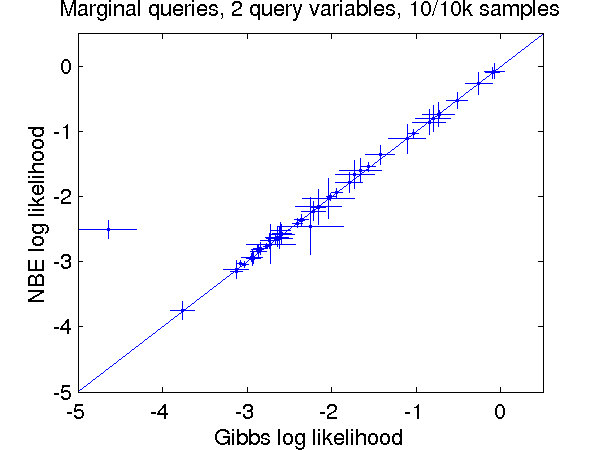 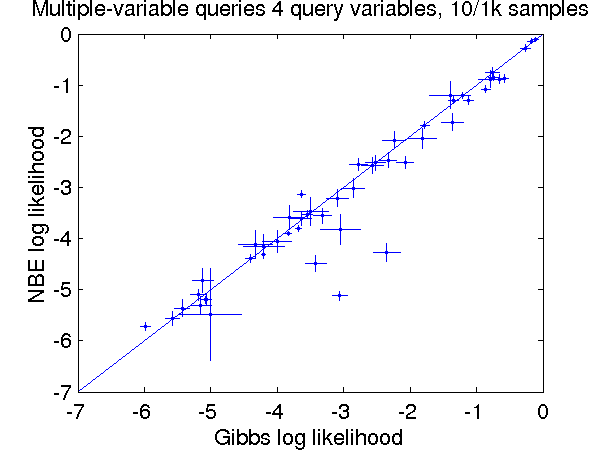 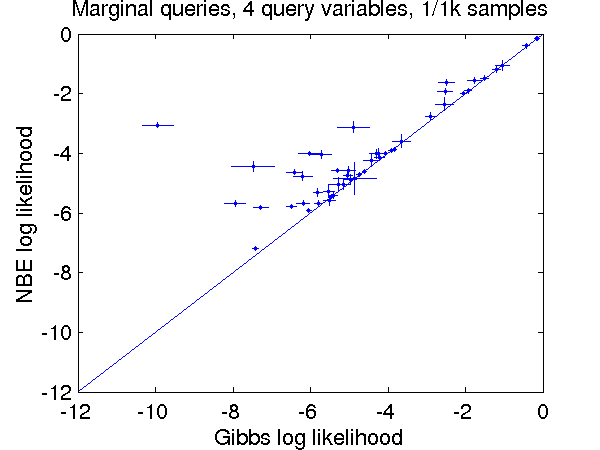 This page contains graphs comparing NBE log likelihood to that of Gibbs sampling or belief propagation on WinMine models, for each of 50 scenarios. 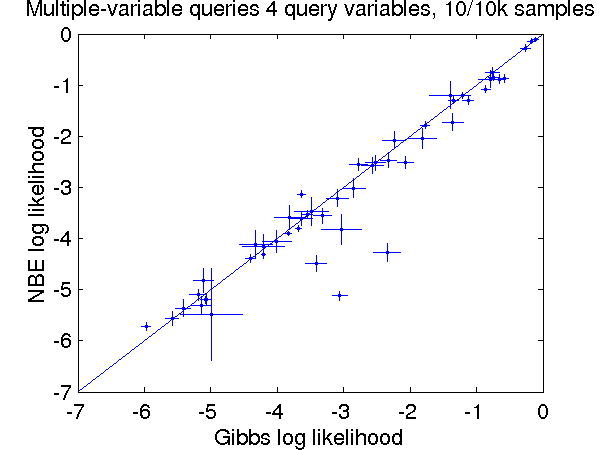 The scenarios primarily differ in the number of query and free variables. Each graph corresponds to one of the cells in Table 3. See the paper for more details on each scenario. 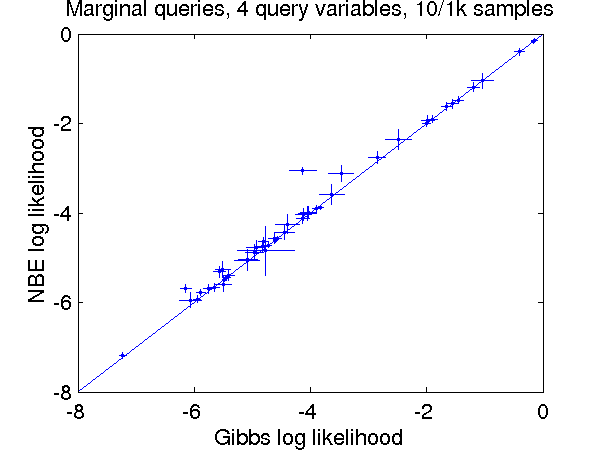 The error bars on each data point represent four standard deviations (two in each direction). 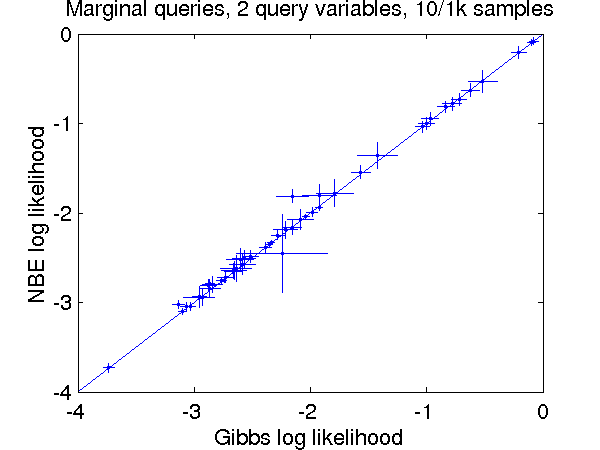 Each graph also contains the line y=x, for comparison. Some differences that do not appear statistically significant are significant by other measures (e.g., paired t-test). 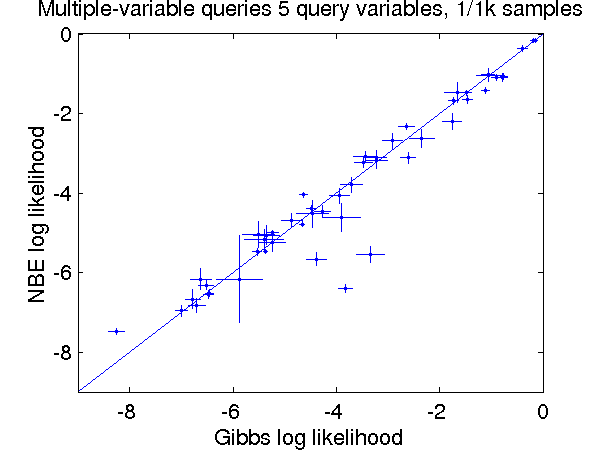 To see the raw graph directory, click here.